Global Focus Saskatchewan, 6 September 2014. It was a national dream to promote tourism, unite the country and leave a legacy. 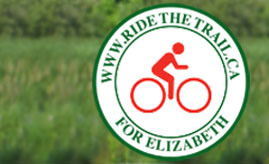 But with only three years to go the Trans Canada Trail remains largely unconnected and some sections can be dangerous, as one cyclist, Edmund Aunger, discovered tragically. With Raquel Fletcher.